The hype surrounding the Air Jordan XI Concord is enough to make both sneaker and basketball fans salivate. Although a deeper look at the interesting story behind the iconic pair and its innovative design reveals why the "Concords" are considered by many as the "grail." In 1995, Michael Jordan shocked the world when he announced his return from retirement with a simple message: "I'm Back." When he returned to the floor, he sported a #45 jersey, with #23 already hanging in the rafters. If that wasn't enough to make fans scratch their heads, he also had something foreign on his feet. No one had seen anything like it. A white upper, while the rest of his team was wearing black? Check. A league fine for breaking uniform rules? Check. Patent leather on a basketball shoe? Check. But how? When the rest of the world was mourning His Airness's departure from the court, legendary sneaker designer Tinker Hatfield remained in the kitchen cooking. He knew MJ had a love for the game that would lead him back to the hardwood. Sure enough, Jordan returned and Hatfield's creation, the Air Jordan XI Concord, hit the court, changing the course of sneakers forever—again. 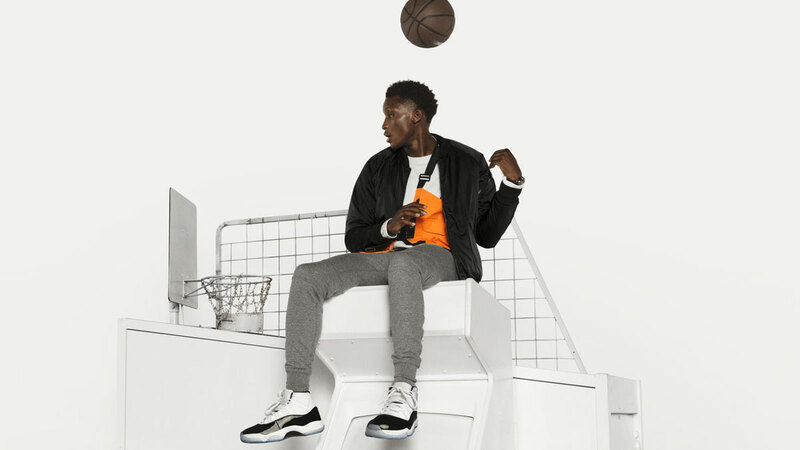 Not only is MJ responsible for making Air Jordans part of basketball history on the court, but he's also credited with creating some of his signature line's most iconic features. Dating back to the design of the AJ IX, MJ had been asking Hatfield and his design team to push the envelope and incorporate patent leather. His reasoning was twofold: First and foremost, the patent leather would help keep his forefoot locked-in on quick stops and cuts. MJ also predicted the patent leather would be a hit off the court, even going as far as saying people would wear them on red carpets and at other formal events. 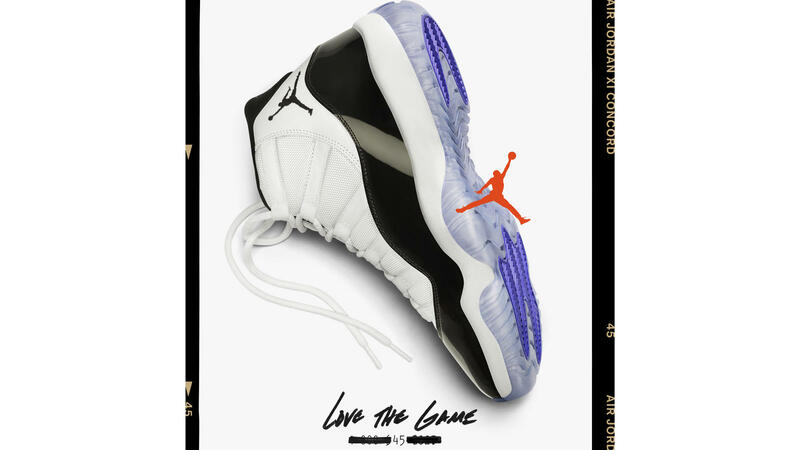 Hatfield, who admits to being initially skeptical of MJ's suggestion, eventually bought into the idea and added it to the AJ XI. By the time people internally saw the design, they weren't asking, "Why the shiny leather? ", they were asking why he was making another signature model for the retired MJ in the first place. He knew MJ well enough to know the AJ XI would get its time to shine. The history books will tell you MJ lost that year's playoff series against Orlando, but they miss the most important part: MJ never lost, he learned. That series would fuel him in the off-season and inspire him to lead his team to a historic season and eventual second three-peat. By the time he took the floor for the following season, the word had spread. These were not just basketball shoes, they were the "Concords," the ultimate grail. Every fan, diehard and casual, needed to have them. 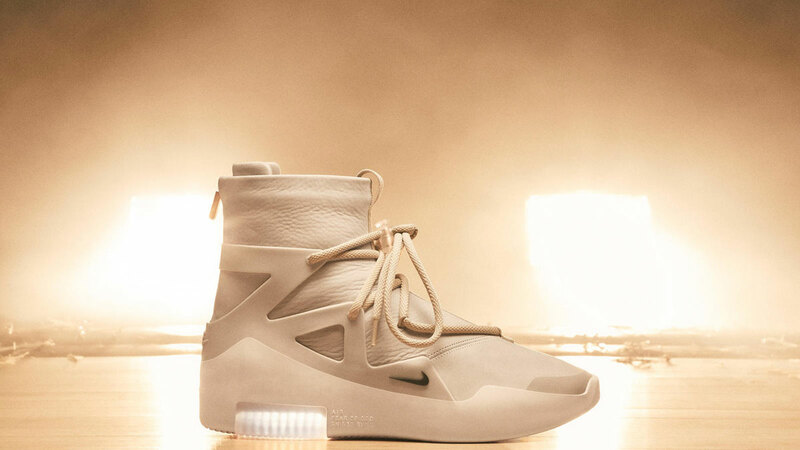 Whether at awards shows or on the court, they made a statement wherever they appeared. Soon, it was out with the dress shoes and in with the Concords. Graduation? Lace them up. Wedding? "I do" to the XIs. Annually, the AJ XI is highly anticipated during the holidays. This year, the Air Jordan XI Concord gets passed to the next generation so it can change the game just like MJ did. Highlights include the original patent leather cut, Nike Air details on the insole, original box and the #45 on the heel—just like when they debuted on the court. The Air Jordan XI Concord is set to release on December 11 at select Nike and Titan doors. SRP is P10,695.